Red Poppy (American Legion) - Beautiful Fields of Red This is one of the country's most popular wildflowers for a reason. When in full bloom, this easy to grow annual wildflower creates a carpet of stunning red blooms sure to take your breath away. These wildflowers are deer-resistant, attract all sorts of pollinators, and make great cut flowers when properly cut. Great for large open spaces, border gardens, or even a small patch of garden needing a pop of color. Who says quality and quantity don't mix!? We want to give you the biggest bloom for your gardening buck, that's why we put over 1 full ounce of seeds in our packets. That's more than 10 times the amount you'll get in a store-bought packet! That's also why we only sell the freshest seeds available. 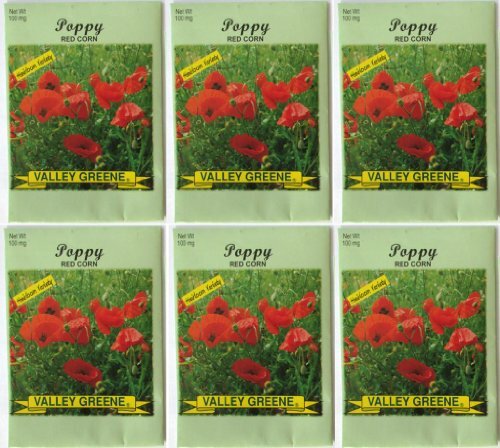 Each packet is filled with our continuously rotating stock of wildflower seed, ensuring that the packet you purchase holds fresh seeds ready to plant for the current growing season. GUARANTEED TO GROW We're so confident that you'll have success with our seeds that we guarantee they will germinate or we'll give you a full refund within 30 days of purchase. 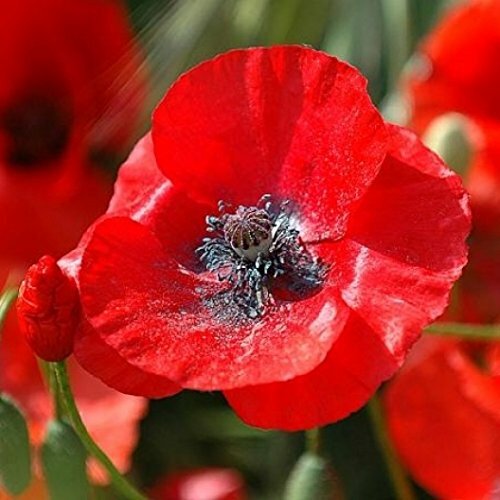 Classic red poppy seen in fields throughout Europe. Long-blooming, provides cheerful color to any garden spot. Ht. 12-24. Variety is a Wildflowers type. Davids Garden Seeds is a Veteran owned company that has been providing quality seeds since 2009. 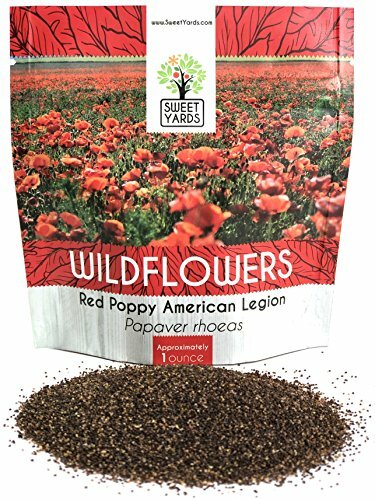 Package of 10,000 Seeds, Red Poppy "Corn Poppy"
Spectacular single flowers are carried well above the plants on willowy stems. 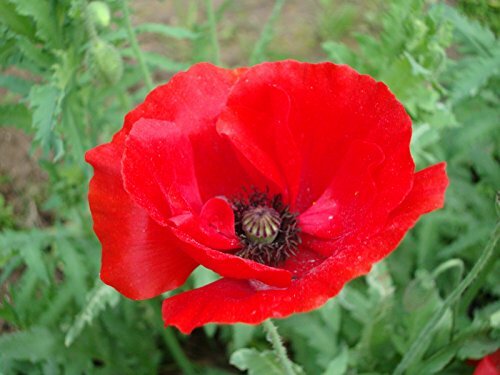 This litle red poppy is a wildflower in France. Use in mass plantings or blend with other late spring, early summer flowers. We had to sell these because we love them so much. Not cheap, but a complete indulgence on our part. 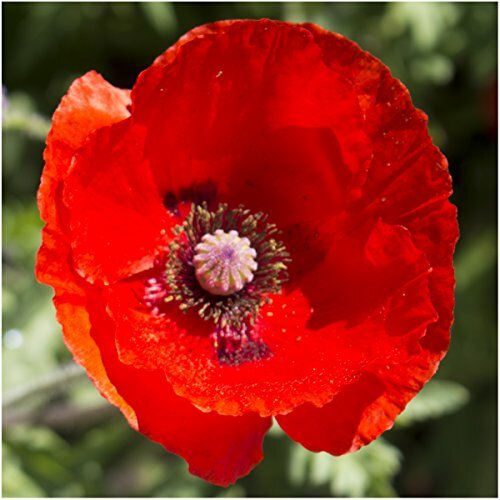 Red poppy is also known as field poppy, wild poppy, rose poppy, headache flower, Shirley poppy (after a location in England), canker flower, copper rose, red weed, or Redfield. 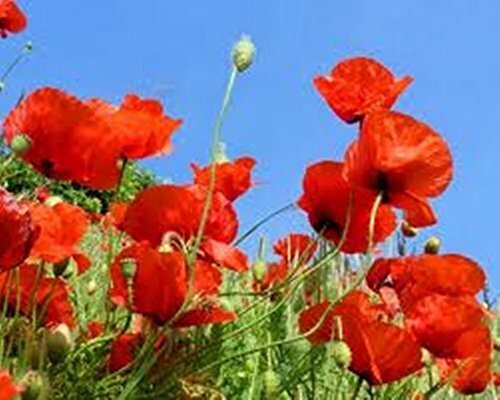 It is called corn poppy, corn rose, corn flower, or DemeterÍs flower.it is an annual. Lives just one year. Grows quickly, blooms heavily, dies with first frost. Can regrow following spring if seed falls on bare ground. Bloom Characteristics: This plant is attractive to bees, butterflies and/or birds Water Requirements: Drought-tolerant; suitable for xeriscaping Average Water Needs; Water regularly; do not overwater Height: 36-48 in. (90-120 cm) 4-6 ft. (1.2-1.8 m) Spacing: 18-24 in. 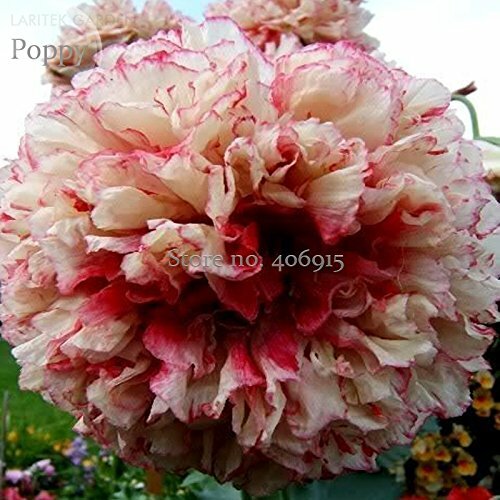 (45-60 cm) Unlike others, we do not buy seeds from outside sources. Our plants are hand grown with tender loving care. Your purchase helps us to continue our quest to organically produce premium seeds here on our farm. We are passionate about gardening and strive to present nothing but the best for our fellow gardeners. The pictures you see are actual sample photos of peppers we grew. We guarantee germination for this current year or your money back. Seeds must be stored in a cool dry area. Photos are expressed property of Sherwoods Seeds. 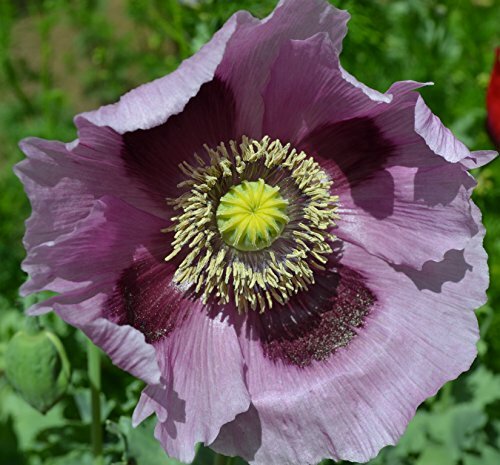 Copyright © Wholesalion.com 2019 - The Best Prices On Corn Poppy Seed Online.